PVNR Telangana Veterinary University Recruitment. GOVERNMENT OF TELANGANA :: Public Services AHDD&F Department - Recruitment - Filling up of (33) thirty three vacant posts in P.V. 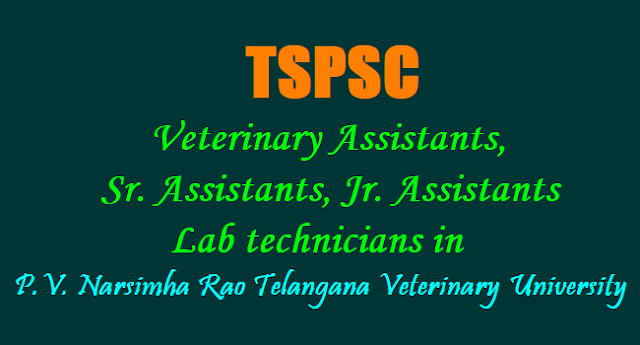 Narsimha Rao Telangana Veterinary University, Rajendranagar, Hyderabad through Telangana State Public Service Commission, Hyderabad - Orders - Issued. FINANCE (HRM-II) DEPARTMENT :: G.O.Ms.No.94 Dated:02.06.2017 :: Read the following: AHDD&F Dept., U.O.No.238/AH(3)/2016, dt.28.05.2017. ORDER: Government have reviewed the Direct Recruitment vacancy position in P.V. Narsimha Rao Telangana Veterinary University, Rajendranagar, Hyderabad. After careful examination of the proposal furnished by the Department and keeping in view the actual requirement of manpower with reference to the nature of work and activities of the department and also the overall financial implications, Government hereby accord permission to fill (33) thirty three vacant posts P.V. 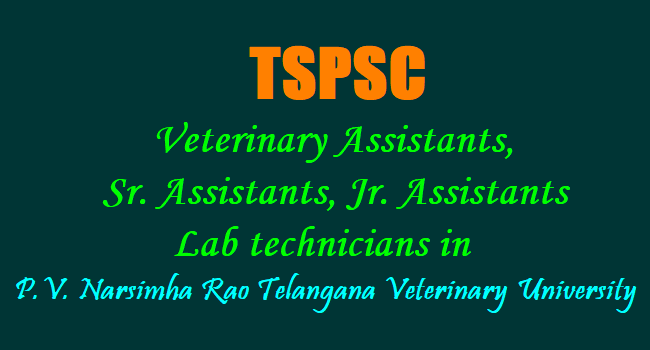 Narsimha Rao Telangana Veterinary University, Rajendranagar, Hyderabad through Telangana State Public Service Commission, as shown below. 3. The AHDD&F Department and the Registrar, P.V. Narsimha Rao Telangana Veterinary University, Rajendranagar, Hyderabad shall furnish details of all vacant posts authorized in this order, including the local cadre wise vacancy position, roster points and qualifications, etc., to the recruiting agency immediately under intimation to Finance Department. The Department shall issue necessary amendments to their service rules / Bye-laws /Government Orders changing the existing recruitment procedure / recruiting agency, wherever necessary.